It’s a fact, disposable packaging is largely responsible for the global plastic problem. 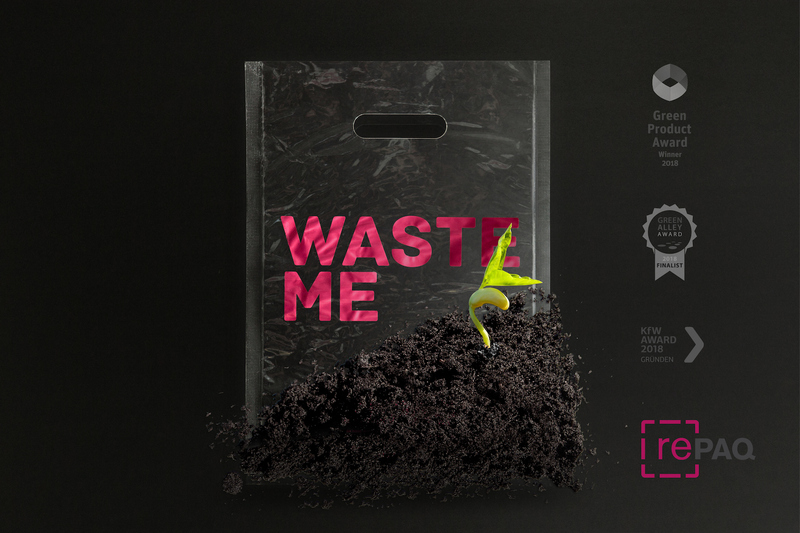 Superseven created a new packaging brand named Repaq, that is an answer to the mineral oil-based packaging waste. Meet them at the guided GRV Transparency Tour on Monday the 4th of February at 11.00 am at the CSR Hub, Hall A4. Repaq foil packaging is made from natural and renewable raw materials,100% circular and certified by the TÜV for garden composting. The TÜV standard is currently the world’s highest environmental standard for compostable packaging. With Repaq, Superseven GmbH is the first company in Europe to offer a large number of fully printable home- and garden-compostable packaging. All products are made from renewable FSC certified raw materials, without genetic engineering and are plastic-free. There are many uses for Repaq. All Repaq packaging is suitable for direct contact with food. Also textiles, electronic components, hygiene articles, toys, paper goods and magazines. The Repaq packaging composts in bio-active environment within 42 days compared to 100 -500 years for plastic bags to disintegrate (source: duh.de). This makes Repaq harmless to the environment, humans and animals. The valuable substances contained are returned to the biological cycle and remain completely intact. Superseven GmbH stands for the development, production, consulting and sale of circular products, especially for compostable and mineral oil-free packaging solutions made from renewable raw materials. The company develops, designs and trades packaging and packaging accessories, ready for production and ready for the market. Superseven works together with a network of manufacturers, processors and institutes from Germany and Europe. Superseven GmbH was founded in March 2017 by Katja and Sven Seevers as well as Hannes Füting. Repaq is a brand of Superseven GmbH.Superseven stands for a holistic product development process and thereby considers the whole product lifecycle including raw material extraction, processing and disposal. Superseven is specialised in recyclable product development with focus on compostable packaging solutions.